Sayyid Fadlullah was born in the city of Al-Najaf al-Ashraf in 1354H/1935. His father was living there to study Theology, and by the time the Sayyid was born, had already established himself as an outstanding scholar, who was known for his piety and fear of Allah. The Sayyid was raised and educated by his father who greatly influenced the life and thought of his son. The Sayyid went first to a traditional school (Kutaab) to learn the Quran and the basic skills of reading and writing. These schools were run by old traditional sheiks and they probably left a bad impression on the young scholars mind so the Sayyid soon left and went to a modern school that was established by the publisher Jamiat Muntada Al-Nasher where he stayed there for two years and studied in the third and fourth elementary classes. Thus he began studying the religious sciences at a very young age. He started to read the Ajroumiah when he was nine years old, and then he read Qatr al-Nada wa Bal Al-Sada(Ibn Hisham). From this very early stage the Sayyid knew that he was not going to be a traditional scholar as he used to take great interest in the whole cultural and literary scene, which he followed by reading the Lebanese, Egyptian and Iraqi Magazines and newspapers. He read for example Al-Musawir (An Egyptian magazine) the Zayan Magazine (published by Hassan Al-Zayan and Al Katib Magazine that was published by Taha Hussien and started to write poetry when he was ten years old. His first teacher was his father Sayyid Abdulraouf Fadlullah. He completed with him the course called Sutouh in which the student reads the book and listens to his teacher’s explanation. He also studied the Arabic language, logic and Jurisprudence, and did not need another teacher until he studied the second part of the course known as Kifayat at Usul which he studied with an Iranian teacher called Sheikh mujtaba Al-Linkarani. He attended the so-called Bahth Al-Kharij in which the teacher does not restrict himself to a certain book but gives more or less free lectures. These teachers are usually high religious authorities (Marga’) or are about to become so. At this stage he was taught by the greatest religious authorities of the time like the Sayyid Abulkassim Al Khoui, Sayyid Muhsin al-Hakim, Sayyid Mahmoud Asshahroudi, and Sheikh Hussein Al-Hilli, and all of them are outstanding academic figures in the Najaf Al-Ashraf. In addition the Sayyid studied some philosophy, by attending the classes of one the Major Philosophy teachers of that time Mulla Sadra Al-Badikoubi who taught the famous Mulla Sadra Al-Shirazi book (Al-Asfa Al-Arba’t). Martyr Sayyid Muhammad Baqir al-Sadr studied with the same teacher for five years following the advice of Sayyid Alkhouie. Sayyid Abulkassim Al Khoui: He was born in 1306h? He emigrated to Najaf in 1318 and there he studied with some of its greatest and most prominent scholars including Sheikh Shari`a Asfahani, Editor and researcher Dia’ Al-Iraqi. Sheikh Muhammad Hussein Al-Asfahani Al-Kimbani, Sheikh Muhammad Hussein Na`ini, Sheikh Mahammad Jawad Al-Badkoub who was considered to be the greatest leader of the academic moment in Najaf for a long time, and was a religious authority (Marga) until he died, May Allah have mercy on him. Sayyid Muh`sin AL-Hakim: Born in Al-Najaf in 1306H/. And attended the courses of scholars such as Sheikh Khurassani the author of Kifayah, and Sheikh Muhammad Hussein Anna`ini. He is considered one of the most prominent Marga. For he condemned Marxism that was invading the Muslim community at that time and considered it in his bold and famous judgment as” unbelief and atheism”. Sayyid Mahmoud Shah`roudi: Born in one of the villages of Shah`roud in 1301H/. He went to Najaf and attended the courses of Sheikh Muhammad Qazim Al-Kharassani until the latter died. Then he attended the courses of Diaz Al-Iraqi and Sheikh Muhammad Hussein Na`ini. He then became one of the few Marga that were recognized all over the Islamic world. Sheikh Hussein Hilli: He was first taught by his father who was one of most prominent teachers of his time. He then studied under several teachers the last of which was Mirza Hussein Al-Na`ini with whom he spent several years, and became known for his wide knowledge, research skills, good morals, honesty and humbleness. He died in 1349H/. Mullah Sadra Al-Qafkazy who was known as Sheikh Sadra Al-Badkoubi. Born in one of the Badkouba villages in 1316H/. His father and uncle taught him literature and Mathematics, He then went to Najaf in 1348 and studied under Sheikh Mairini, Sheikh Asfahani and Sayyid Al-Badkoubi… He taught Stouh and Philosophy in Najaf for 40 years, and become one of the most prominent teachers of Philosophy which he continued teaching until he died in 1393. 6. His father Sayyid Abdulra`ouf Fadlullah: Born in 1325H/. He went to Najaf and studied with Mirza Fatah` Ash-Shahid, Sayyid Abulhassan Al-Asfahani and Sayyid Abdulhadi Ash Shirazi. He became a prominent scholar and a widely sought and appreciated teacher. He stayed with his brother, Sayyid Muhammad Sa’id and went to the south of Lebanon when the latter died. There he continued his studies and became an Imam who issued independent judgments (Fatwas). He was known for his piety asceticism and good morals. He had a great influence on his son who benefited a lot from him until he died. Describing his life with his father the Sayyid says: “He is probably the only person I could discuss anything with quite freely even when it came to taboos. Because he was such a broad minded person that the people who used to visit him could not have imagined so. They might have thought that he was aloof and reserved… But he used to listen to me and discuss with me all the ideas and illusions I had in my mind as if I were a mature grown up. The discussions used to go on and on even when we were eating with the rest of the family, which used to annoy everyone else in the family. This method of conducting a dialogue was very beneficial for it responded to all the questions I had in mind. The constant dialogue that involved all issues whether religious, Philosophical, social or political went on to the very end. On the very last night of his life we had a long discussion regarding an aspect of jurisprudence. Thus, I believe that the person who educated me on how to be open-minded, respect the opinions of others and hold a scientific and methodological dialogue was my late father. 7. His uncle, Sayyid Muhammad Sa`id Fadlullah, who was born in 1316H left for Najaf in 1337, and studied under Mirza Mohammad Hussein Na`ini, Mirza Fatah` Tabrizi Ashahidi, Sayyid Abulhassan Asfahni and Sayyid Abdullahdi Ashirazi. He became well known for his devotion to academic and scientific work, for his piety and for remaining free from worldly ambitions. 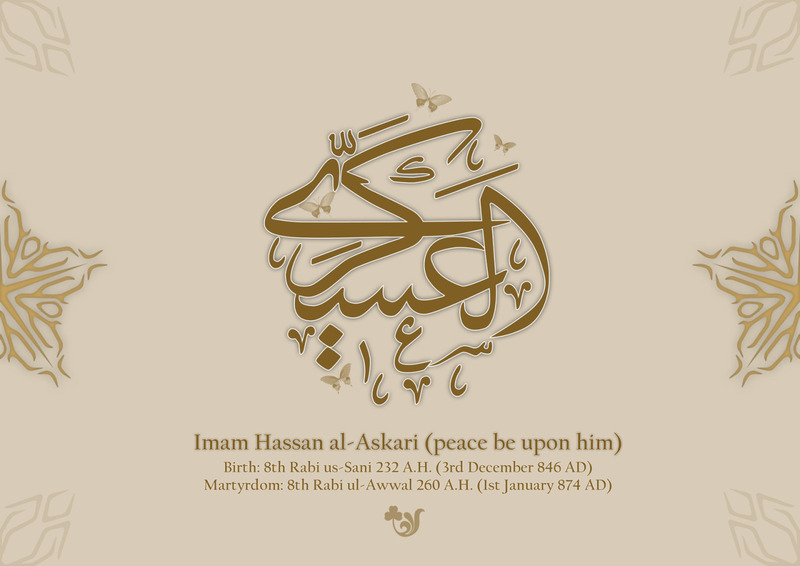 He became qualified to become a Marja and stayed in Najaf until he died in 1374. Although Sayyid Muhammad Sa`id was not one of Sayyid Fadlullah teachers, I have considered him as such, because of the influence he had on Sayyid Mohammad Hussein`s personality. The Sayyid says: I was influenced in the Najaf Al-Ashraf by two people who I respect enormously for their religious knowledge and for the type of life they led that was very ascetic. When the Sayyid was only ten or eleven years old he joined hands with martyr Sayyid Muhammad Mahdi Al-Hakim, the son the religious authority the late Sayyid Muhsin Al-Hakim in publishing a hand written magazine they called Al-Adab. They used to make a written copy of it to every subscriber… He then took part in editing the Al-Adab magazine(1380H) that was published by Jammat Alulama at Najaf. He used to write the second editorial called “Kalimatuna” and these articles were then compiled in a book called, “Our issues in the light of Islam”. The first ”Our Message” editorial was written by Martyr Sayyid Baqir As-Sadr. It is worth mentioning that the Sayyid began to write poems at an early age, but since such an activity was considered to be distraction from learning, the Sayyid went to his uncle Sayyid Muhammad said to ask him for advice. The late Sayyid encouraged him to continue on the grounds that being a religions authority needs an excellent understanding of the Arabic language and its literature. To understand the Quran and the traditions one needs to understand both the connotation and the meaning of words in their context. After 21 years of studying under the prominent teachers of the Najaf religious university he concluded his studies in 1385 H and returned to Lebanon. He had already visited Lebanon in 1952 where he recited a poem mourning the death of Sayyid Muhsin Al-Amin. But, although his elegy was in a way a traditional one it touched on all the political and social issues of that time including French colonialism, Islamic unity, unemployment..etc. In 1966 the Sayyid received a invitation from a group of believers who had established a society called”Usrat Ataakhi” “ The family of Fraternity” to come and live with them in the area of Nabba’a in Eastern Beirut. The Sayyid agreed, especially as the conditions at Najaf impelled him to leave. In Naba’a the Sayyid began his work, by organizing cultural seminars and delivering religious speeches that discussed social issues as well. Nevertheless, the Sayyid’s main concern was to continue to develop his academic work. Thus he founded a religious school called” The Islamic Sharia Institute” in which several students enrolled who later became prominent religious scholars including Martyr Sheikh Ragib Harb. He also established a public library, a women’s cultural center and a medical clinic. The Sayyid has even opened a religious school in the Sayyida Zainab neighborhood in Damascus, where he teaches regularly. The Sayyid shared their grievances, and made great efforts to find solutions for their various problems with the advent of the civil war and the escalations of the Zionist aggression, the Sayyid recognized quite early the enormous magnitude of the social problems that were generated. People were being killed, dislocated and losing their work. He made every possible effort and established orphanages and schools for the children of martyrs and the poor as well as the handicapped. Thus, the Mabarrat Association was born, and it soon became one of the greatest pioneers and models in this field. The association which began its activities by building orphanages expanded and began to build social and medical centers as well as mosques. -Imam Zein Al-Abidine (as.) Orphanage Biqaa(Hirmil). -Virgin Mary Orphange (a.s.) South Lebanon(Jiwaya). – Al- Sayyida Khadija Al-Kubraa(a.s.) Orphange, Beirut (Bir-Hassan). -The Zainab (a.s.) Orphange West Biqaa (Suh`mur) Under construction. Al-Nour school for the Blind(Beirut). Al Nour school for the Deaf(Beirut). Bah`man Hospital Beirut (Haret Hreik). Al Sayyida Al-Zahra’(a.s.) Hospital South Lebanon (Al-Abbasyyah) Under construction. THE Sayyid Fadlullah Institution for charity and Social Welfare. Provides aid for thousands of needy each year either as a monthly donation, a yearly sum, or in the form of educational or medical aid. The Sayyid`s familiarity with contemporary culture led him to acquire certain unique characterisics . He became a man of dialogue, having a solid intellectual base that was enriched by various experiences which made him appreciate right from the beginning the importance of presenting Islam in the way that responds to the contemporary intellectual developments. Especially after the other ideas and trends began to gain ground among the Muslim youth. He learned this method of this thinking and working from the prophet and his family`s example and understood the Quran as a guide for thinking and action. Thus he was armed with an intellectual and rhetorical tools that he had mastered. He soon became a great advocator of dialogue across the Arab and Muslim world, so much so that his name became synonymus with dialogue, and this allowed him to correct many of the myths that had been spread about Islam and the Shi`ite school of thought. The Sayyid is also concerned with spiritual education which he believes to be the basis for building good Islamic personalities. Giving the Islamic task of building personalities a high priority, the Sayyid insisted on attending the collective prayers regardless of any objective or subjective hardships. He tried his best to present Islam in an attractive and and contemporary way, giving special emphasis to the problems of youth and women since any real change must start with them. In addition to fighting ignorance, fanaticism and sectarianism, Sayyid Fadlullah went all the way to fight ignorance and backwardness, using the mosques, first in Bir- al-Abd and then in Haret Hreik as schools to teach ethics, spread knowledge and call for affirmative action. Not only did he make these themes a major feature of his Friday prayers and Quranic interpretation lessons, he also gave lectures in all the universities, schools, social and cultural clubs, in an effort to emphasize these religious Islamic values among the youth and the nation as a whole. The Sayyid, being the religious authority he is, believes that it is his duty to restore and revive the true Islam Although his health has been experiencing certain setbacks it has not affected his zeal. He is so energetic, motivitated and an optmistic believer in Allah that he rediated this state to the whole nation which looks up to him to keep its faith and optimism. He is a staunch fighter, against arrogance and for the cause of freedom. Supporting the international liberation movements and devoting his efforts to guiding and backing the international Islamic movements. 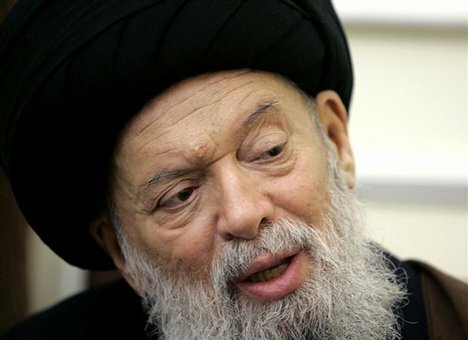 In this context, he took part along with Martyr Sayyid Muhammad Baqir As Sadr in founding the Islamic Movement in Iraq as a first step towards an Islamic movement in the Shiite sphere. Then, in the late seventies, he concentrated his efforts on providing the Islamic Republic in Iran and the Islamic movement in Lebanon with all the means possible to ensure its success: speaking, writing, and defending its major arguments at every opportunity, and constantly calling for resistance against the Zionist occupation of Lebanon and Palestine. Before long he became the target of several assassination plots executed by local regional and international intelligence services. The bloodiest of which was the one carried out by the American CIA: A car packed with explosives was detonated when the Sayyid was leaving the mosque in Bir Al-Abed killing 80 and wounding 200. The Sayyid realized early on the central role of the Palestinian cause and considered the Zionist occupation of Palestine a prelude to the invasion of other Muslim and Arab countries. The Sayyid sees the Glorious Quran as a unifying book and a book of unity. He believes that the threat against the Arabs and Muslims is one and the same. His strategy in this field is based on his belief that the enemy tries to prevent any political social or even cultural attempts to draw Muslims closer. Thus the cause of Islamic unity is, in his view, as important as the liberation from the hegemony of certain arrogant international powers, since any kind of strength the Muslims acquire will undermine the latters` vital interests. These positions, roles and attributes that the Sayyid played or had were accompanied by a humble personality that made all classes and groups eager to visit him and he became one of the great symbols of the nation whose influence stretches across sectarian and partisan boundaries. As the Sayyid gained more admiration he also became a major source of concern with the more fanatical members of other religious groups attacking him as being a “fundamentalist”, while Muslim conservatives denounced his “moderation” and his “innovation”. Moreover, the Traditional Religious establishment feared and still fears that he could threaten their interests. Yet his prudence, broadmindedness and his continuous struggle for the cause that speaks for itself have foiled any attempt to distort his image, especially as his efforts to present the true Islam have gained him a large following especially among the educated youth. The Sayyid visited several countries to give lectures and call for Islam including, the USA, the United Kingdom, France India, Iran, Algeria …etc and he participated in scores of Islamic and intellectual conferences. The Sayyid wanted all this multi-faceted activities to stand on a solid basis, and with this in mind, he founded several orphanges, schools, Islamic centers and Religious schools. Imam Hussein School, Beka`a (Suh`mour) under construction. The large Islamic Center, Beirut (Haret Hreik: Consists of the Al-Imamain Hassnian Mosque, the Zah`ra Hall and the Islamic Cultural Center. The Sayyid as a Religious Authority (Maraga’) following the deaths of the great Islamic leader, Sayyid Al Khouie and Imam Khomeini, and after the passing away of all the symbols of the First generation such as Sayyid Al-Kalbakani who undertook the task of issuing fatwas as a religious authority, a great vacuum was left. People from various regions came to the Sayyid and asked him to undertake this task, for they were used to asking the Sayyid about the fatwas of the various Marga’s until he became the link between the people and their religious authorities all over the Islamic world. They had a lot of trust in the Sayyid especially after the long struggle they had gone through together, in addition to their certainty that he was a just, righteous and pious man, he had to respond to their plea and hold his responsibilities. The Sayyid had issued a lot of fatwas that he had made in response to believers’ questions. He complied them in a book called Al-Masail Al-Fikhia, the first volume of which appeared, before the Sayyid published his practical guide (Al-Resala Al-Amelia) His great experience in this field and in teaching jurisprudence as well as his constant monitoring of the latest trends and literature of the major religious schools have enabled him to become one of the prominent contemporary religious authorities. The Sayyid then issued the second volume of Al-Masial al-Fikhia and wrote his comments on the fatwas of martyr Sayyid Muhammad Baqir As-Sadr and they were published together with As-Sadr’s text, to serve as a reference to Sayyid Fadlullah`s Fatwas. Moreover, the First volume of his own practical guide was published recently and the following volumes will be published in due course. What is worth mentioning in this respect has to do with the Sayyid’s new conception of the institution of the religious authority. He believes that it should become just that -an institution, in that it should not rely on individuals. The Sayyid has written many books that deal with all the problems we face in our contemporary world and provided Islamic solutions to them whether in theory or in actual practice… He also wrote numerous articles in the various cultural Islamic magazines. The Sayyid`s works could be divided into two categories: The general works and the special ones that deal with juristic issues. Although the latter are written by his students they reflect the lessons he gives in Beirut and Damascus. Our Issues in the light of Islam: The book is a compilation of the editorials the Sayyid wrote for six years in Al-Adwa’ Magazine in Al-Najaf. The book was reprinted in several editions. Steps along the Road of Islam. Islam and the logic of Force. The Call to Islam as explained in the Quran. General Islamic Concepts: a series of several books. On the Imam Musa Al-Kazim. On Quranic Knowledge edited by Sayyid Shafic Al-Musawi. The New Conception of Shiite Religious Authority. Dialogues in Thought, Politics and Social Affairs. 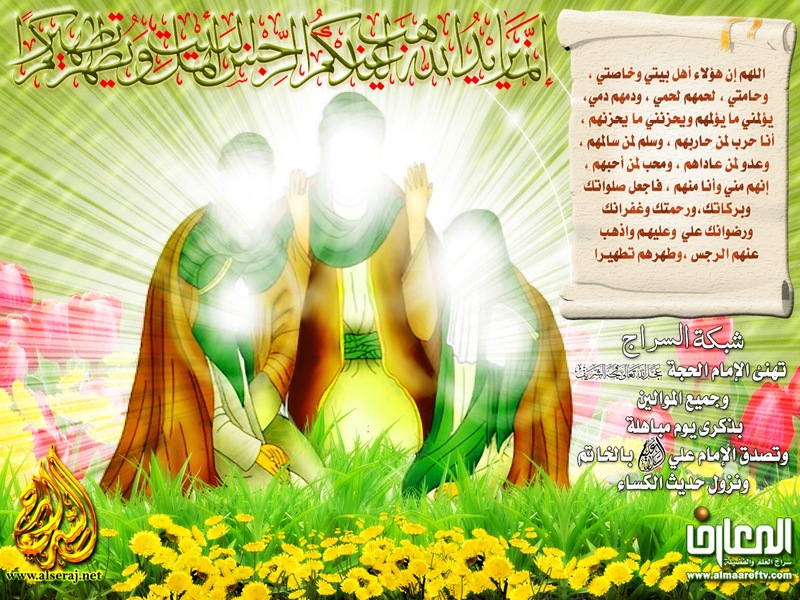 Al-Zahraa (A.S) An International Role Model. Islamist’s Discourse and the Future. The Islamic Movement. Its Issues and Concerns. On the Shores of Conscience (Poetry). Al-Masai’l Al-Fiq`hia vols, 1and 2. On the Rites of Pilgrimage. The Seminar: A Collection of the lectures and Quranic interpretations that are held weekly in the religious school in Damascus. Eight volumes have been published so far. 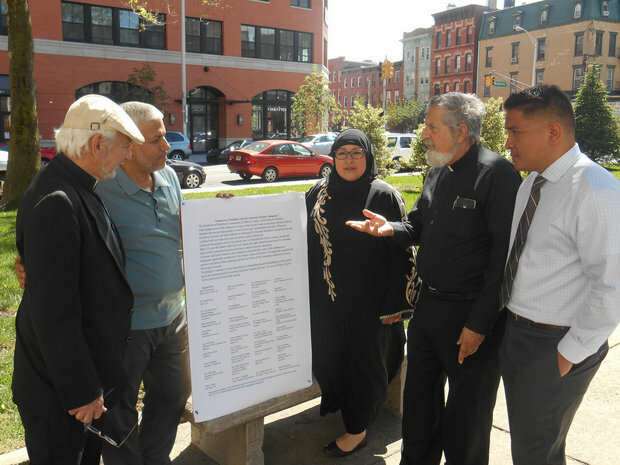 The Prophets` Fight Against Deviation. On the Rule of No Harming by M. Adieb Qaubeissi. On Inheritance by Dr.Khanjar Hamiyah. On Divorce by M.Adieb Qaubeissi. 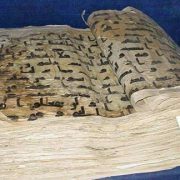 It is the interpretation of the Glorious Quran which the Sayyid began writing through his weekly courses in interpreting the Quran in the Shiyah` Mosque in the beginning and then in the Mosques of Bir Al-Abed and Al-Hasanian Mosques. The Sayyid used to write this book in various places and times: In places like hotels, shelters or in between receiving guests, for the Sayyid is known to be able to concentrate fully on one thing and be totally immersed in it. These interpretations are considered as practical lessons inspired by the Quran and not as actual interpretations of each verse. The Sayyid has included his views about the universe, life and man, all of which were inspired by the Holy Qur`an, in this book. He says: This book is an interpretation that I’m proud of because of its standard of its contents and its originality. The book was published in 25 volumes, and was reprinted several times. Nevertheless you still cannot find all the volumes of this book in any bookshop. The Sayyid has decided to print a new edition that contains certain important additions. Not only does he teach the students the principles of religion and jurisprudence he also tries to give them his advice on how to learn and acquire knowledge. He always says that the student’s concern should not be to complete one academic stage and enroll in the next one, but rather to make sure that he understands all that he studies for this is what makes him a scholar in the end. He also repeats the second Martyr’s advice that you have to make every effort and dedicate a lot of time to learning. “For If you give yourself entirely to science it will only give you a part thereof, what if you were to give it only a part of you ?” Memorizing alone is worthless and every student should be a scholar and a researcher regardless of the academic stage he is at. He asks his students to take notes and review what they have written and he urges them to aim at becoming religious authorities, for this the only way they could be so in the Future. The Sayyid also emphasizes the importance of being objective and of avoiding hasty and decisive judgments. One should in any case not make a judgment or reach a conclusion without basing them on sound evidence. Yet, there are those who doubt the Sayyid`s qualifications claiming that he was not given the verbal authorization of his teachers, such as Sayyid Khoui and the other teachers. Nevertheless, being authorized by one’s teachers is not the only way to become a religious authority, it could also be acquired by the ability to teach and defend one’s ideas in front of others. One could refer to his teaching courses in Beirut and Damascus, or to his jurisprudence books. But if you do not wish to do so, it does not make you either right or even pious. If proof needs evidence denial needs evidence too. Martyr Sayyid Baqir As-Sadr has been quoted as saying’. All those who left Najaf lost something on leaving except Sayyid Muhammad Hussein Fadullah and in his case, it was the Najaf University that lost. It is worth mentioning in this respect that his father the late Sayyid Abdulra`ouf Fadullah used to refer those who asked his opinion about things that they practice out of obligatory precaution to his son, which in itself is a great testimony. 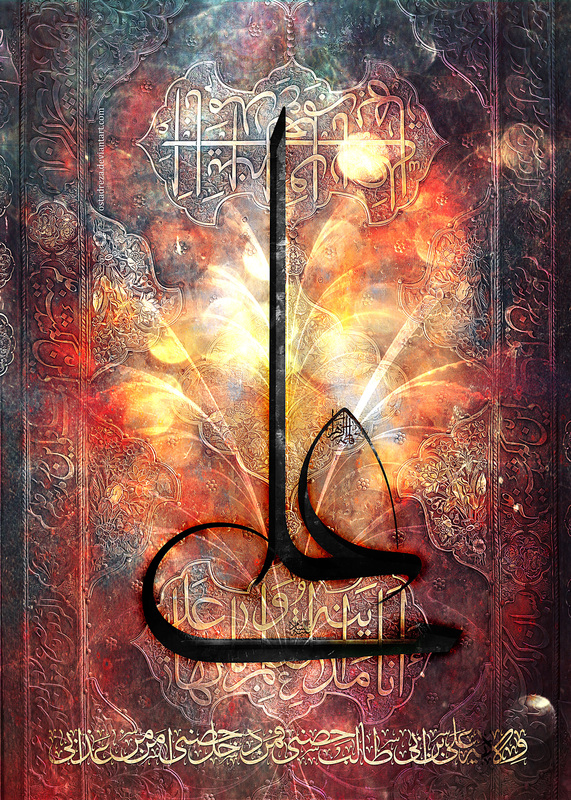 Who is Ali bin Abu Talib?